Aaaah, snuggle down under that fuzzy throw blanket with some hot chocolate in front of the fireplace. You’ve spent the last month or two preparing for winter and all your hives are put away as you think fit. It’s the time I like to think about the last year and contemplate the next. What went right, what went wrong and why: mite levels throughout the year, mite treatments, the hive that was successfully split, queen choices, the nucs you bought, the stupid queen that disappeared, the starvation, the frustrating hive that absconded, the hive that produced like gangbusters, the one that just barely eked by and the one that always does well no matter what you do……and those @#$$% yellowjackets. What do I want to do differently next year? A more holistic approach to beekeeping, new or different mite treatment or method or timing, different queen management, more or fewer hives, raise and sell queens or nucs, move hives from lower performing (or higher mite) areas to better locations, new equipment to try (dangerous to the pocketbook)? As with most everything in beekeeping, there are very few single right answers although there are some that are wrong. This is also the time I usually like to continue and finish up my holiday crafts and then maybe actually read one of those beekeeping related books I've bought that is sitting on the shelf. Or do some internet research (sometimes with several grains of salt of filtering). We always encourage members to check out the HBHC Tools For Varroa Management guide for comprehensive info. 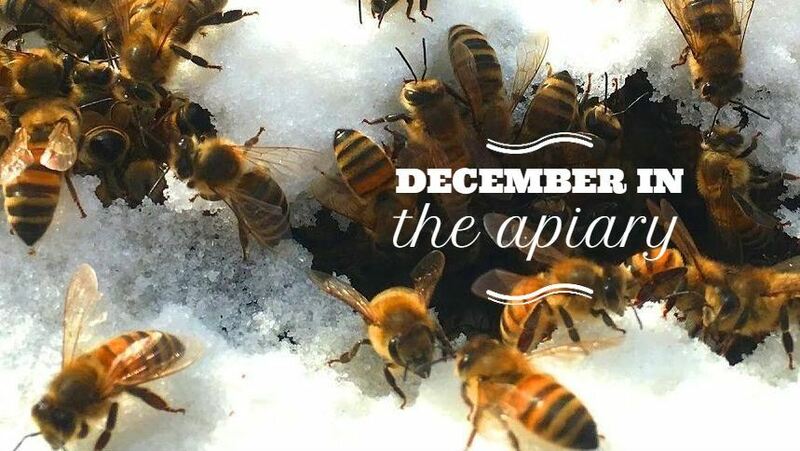 Wishing you & your bees a happy & healthy holiday season! A big Thanks to Allen Engle for writing this month's notes!